This is a FREE event, but registration is required using the above link. 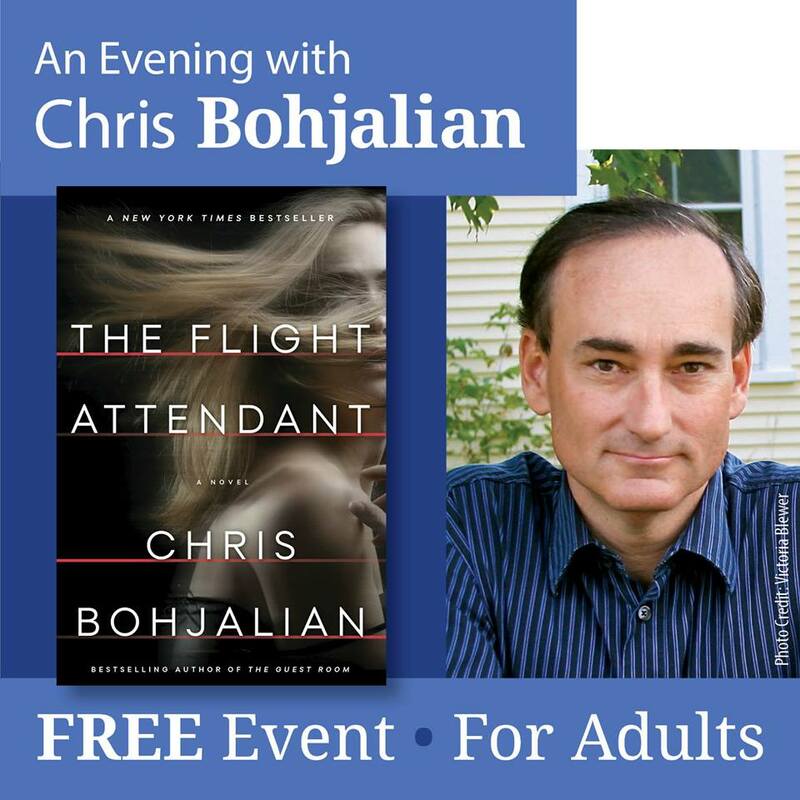 His new novel, “The Flight Attendant,” debuted as a New York Times, USA Today, Wall Street Journal, Publishers Weekly, and National Indiebound Bestseller. It is in development with Kaley Cuoco and Warner Brothers Television for a limited series. A book signing will follow the author talk. Books will be available for purchase from A Likely Story Bookstore. No outside books are permitted. Presented by A Likely Story Bookstore and Carroll County Public Library. Special thanks to Carroll Community College and Penguin Random House. If you need to cancel, please email rsvp@carr.org.